Update: Two weeks and a loaf of bread later we now have a full release with SOUND! 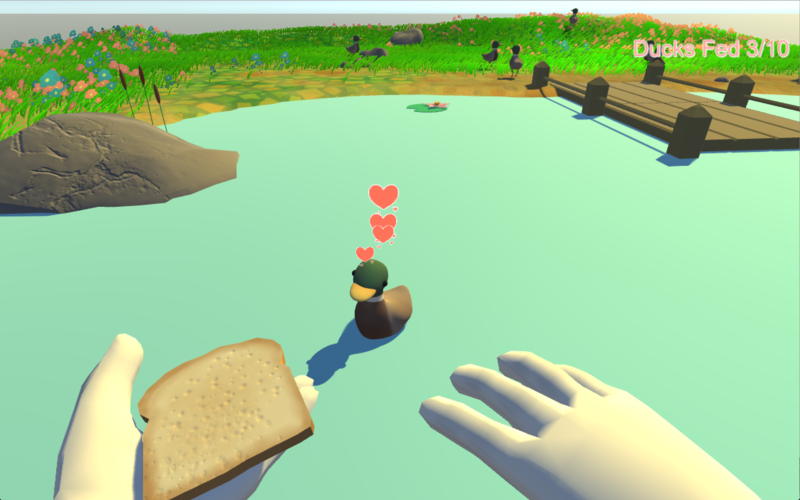 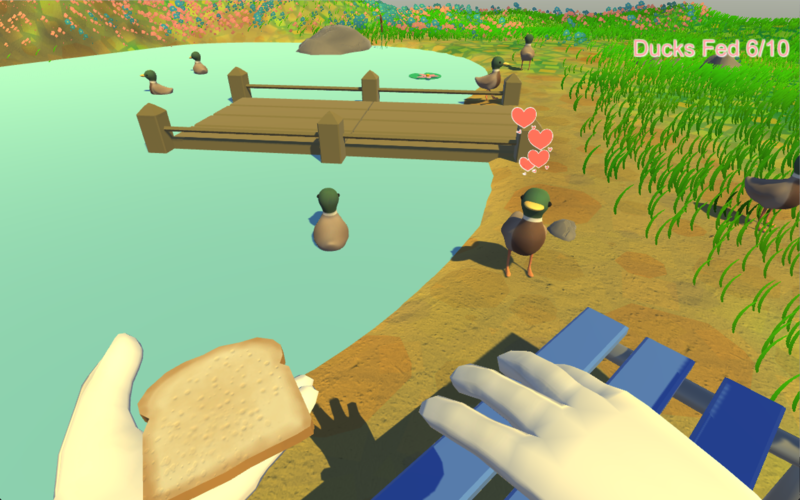 We loved seeing so many people play our broken game that we wanted to polish it and make it the Duck feeding sim of your dreams. 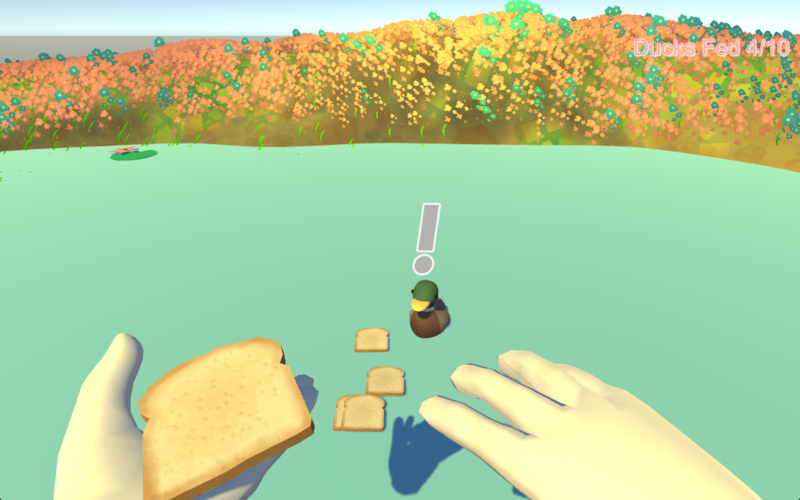 We hope you enjoy! 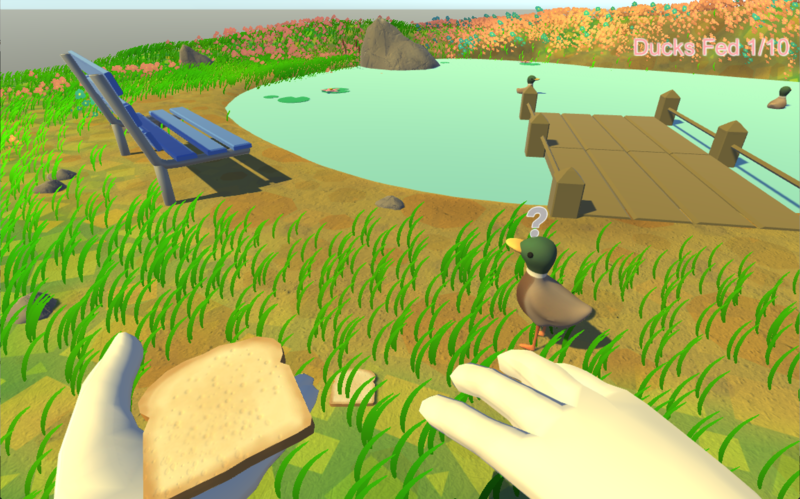 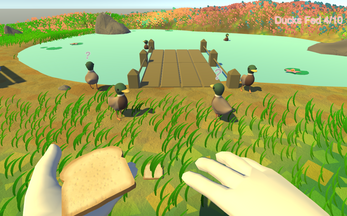 This is a realistic Duck feeding simulator, if you feed Ducks in real life they may become malnourished, other options to feed your Ducks are fruits and vegetables! 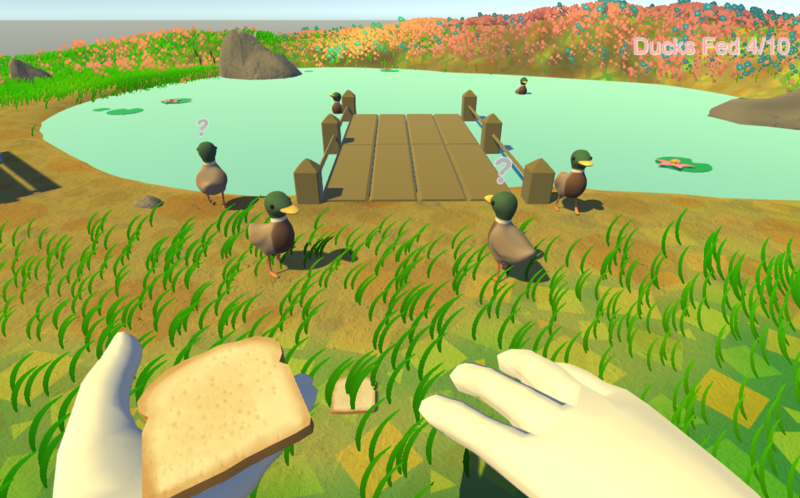 This game was made by an Artist and a Sound Designer. The Sound Designer did all the programming and ran out of time for sounds.